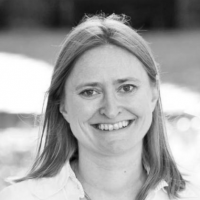 Dr. Catharina Candolin recently returned to Finland after 3 years at the Emerging Security Challenges Division at NATO HQ, where she worked as a policy advisor in the Cyber Defence Section. 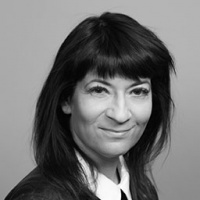 Prior to her mission to NATO, Dr. Candolin worked as the Head of the Cyber Defence Section at the C4 Department at the Defence Command Finland. Her interest in cyber issues stems from her childhood hobby with computers that evolved into academic studies, including a doctorate degree in 2005, followed up by a professional career in academia, the private sector, and the defence field. Her interests include everything related to science, research and development, security policy, and aviation, and she also holds a pilot's license herself. 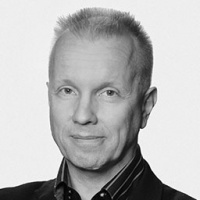 After finishing high-school and the compulsory military service in Jyväskylä, Finland, Prof. Mikko Möttönen started in 1999 as an undergraduate physics student in the late Helsinki University of Technology (TKK). 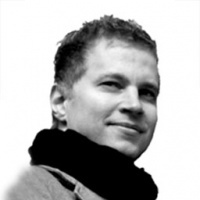 With major in Materials Physics and minor in Mathematics, Mikko obtained his MSc in 2002 and PhD in 2005 from TKK. Subsequently, Mikko spent postdoctoral research periods at University of California, Berkeley, USA (2005) and University of New South Wales, Sydney, Australia (2008-2009). In 2007, Mikko became a Docent in Quantum Computing and the leader of the Quantum Computing and Devices (QCD) group in the Academy of Finland Center of Excellence in Computational Nanoscience (COMP) at TKK. Since 2005, Mikko has also been working with Prof. Jukka Pekola on low-temperature nanoelectronics, and in the beginning of 2012, Mikko begun his European Research Council (ERC) Starting Independent Researcher Grant on this topic. With the help of this grant, he established QCD Labs that presently hosts three millikelvin cryostats and microwave measurement equipment at Aalto University, Finland. In 2014, Mikko's QCD group and the group of Prof. David Hall at Amherst College published their work on the discovery of Dirac magnetic monopoles in a synthetic magnetic field of an atomic Bose-Einstein condensate. In 2015, Mikko was appointed to a part-time Research Professorship in Quantum Computing at the University of Jyväskylä and to a full-time permanent staff position at Aalto University. He also wrote nine science columns to the main national newspaper Helsingin Sanomat. Presently, Mikko's QCD Labs focuses on integrating engineered normal-metal reservoirs into quantum-mechanically behaving electronic devices such as superconducting qubits. This is the topic of Mikko's ERC Consolidator Grant which begun in 2017. In the beginning of 2018, Mikko also started lead an effort in building a Finish superconducting quantum computer in collaboration with Aalto University, VTT, and University of Turku. Consulting Engineer & Visiting Professor, Leeds University, "Dr. Datacentre"
With a BA in mathematics, a first-class BSc(Hons) in technology, a postgraduate diploma in design & innovation and an honorary doctorate in management, Ian Bitterlin’s career has been varied and extensive. Seven years in engineering with Schindler Lifts led to 14 years with Mannesmann Demag (rotating machines and variable speed drives) – during which time he wrote numerous technical papers on the subject of variable speed drive systems in the material handling industry, and presented them at conferences across the globe. By 1990 he had reached the position of Divisional Manager. A move to Anton Piller (UPS) – where he served as UK Director for 7 years – was the start of Ian's long involvement within the critical power and cooling industry and led to several posts within the Emerson organisation, culminating in Managing Director of Emerson Network Power. 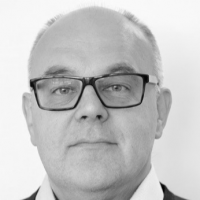 Since 2001, appointments have included VP EMEA and AsiaPac for Active Power Inc, International Sales Director for Chloride and CTO of Prism Power Ltd – the exclusive provider of dynamic-rotary UPS systems manufactured by KST of Belgium. An active speaker and author, his technical papers on critical power and cooling have been presented at numerous European conferences and he has made conference presentations and keynote speeches across the globe. Ian is a co-author of 2 chapters in the CIBSE publication, 'Guide K: Electricity in Buildings' – ‘UPS Systems’ and ‘HV Switchgear’. 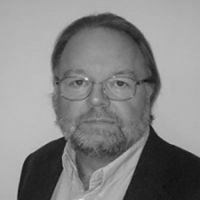 Ian is a Member of several UK Engineering Institutions, including CIBSE, IET, the British Computer Society and the British Institute of Facility Managers, as well as being a member of AFCOM and the IEEE. Sauli Eloranta is in charge of innovation and technology of Rolls-Royce´s Marine business. His responsibilities include Marine innovation and technology strategies, R&T, IP issues and external funding. Sauli is based in Turku, Finland. He acts as the Country Manager for Rolls-Royce in Finland. 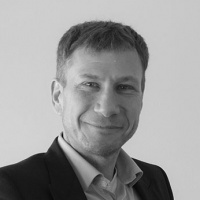 Sauli acts as the Chairman for the DIMECC One Sea - Autonomous Maritime Ecosystem and he is a member of the board for the EU Waterborne Technology Platform. 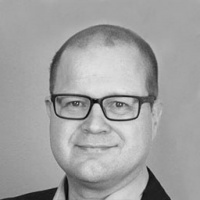 He chairs the Business Finland Digital Advisory Board and is a member of several government-led strategy groups. Born in Finland, Sauli has spent his entire 30-year career in the marine industry in shipyards and marine suppliers in Finland, US, Norway and France. Sauli holds a MSc degree in Engineering / Naval Architecture. Ilkka Halava is Future Researcher, Corporate Coach and CEO of Prime Frontier Oy and Future Works Oy. He is a professional and luminous speaker, a trusted business coach. With socio-cultural research and applied future research tools he makes decision-making understandable in future evolution. He guides composers of new models, concepts and breakthroughs to find their own goals - and to achieve them. Extreme Business Makeover - No Box Required. Served as Finland's Minister of Economic Affairs June 2011 - November 2012 and before that as Minister of Defence April 2007 - June 2011. Also in charge of ownership steering at Prime Minister's office May 2007 - June 2011. Member of Finnish Parliament 1999-2012. 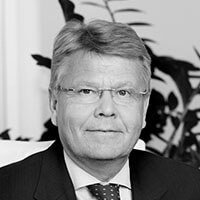 Jyri Häkämies is member of the Board of Ilmarinen Mutual Pension Insurance company. 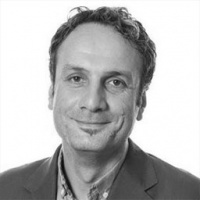 Yilmaz Karayilan is leading Nokia GS GSD Services Cloud Unit, offering Nokia Engineering and Services Cloud (NESC) as R&D computing and storage engine. NESC is recognized as one of the largest corporate private IaaS cloud, bridged to AWS in hybrid mode. This is for leveraging native AWS capabilities to meet with Nokia R&D AI, ML and DevOPS requirements, in addition increasing presence to meet with local legislations. Ari Leads Google Cloud's team in Helsinki helping customers adapt to modern cloud technologies to embrace the opportunities of digitalization. Google recently opened Cloud for Finland services offering a wide range of public cloud capabilities delivered from Hamina Campus. Member of the Parliament, Commerce Committee (vice chair) and Committee for the Future (member) Mr. Harri Jaskari. Katriina is a long-term IT associate who uses intentionally the term ATK rather than IT. Her career began with Nokia, then Katriina joined Citec Group and built up with her team for example one of Finland's first SaaS services. The last years have been spent on robotics and artificial intelligence - Gartner, Knowit and now in her own company AI4Value. Katriina has been looking at the ATK market from the point of view of the buyer, the seller and the analyst, and she is passionate about the industry. Antti Laine has a passion for sustainability and saving the planet. With a decade in material science and teaching and a decade in industrial construction he has always spent a lot of energy in developing methods to do things better than before and in a more sustainable fashion. Always motivated to study new things and build networks across the globe to discuss initiatives and ideas to make this world more sustainable. Besides his dayjobs as a EHS inspector and Data Center consultant he is working on his pH.D. project at the University of Lappeenranta regarding Data Center Sustainability and Data Center lifecycle. Cruzr is skilled in movements, takes good advice and talks. Intelligent, cloud-based Cruzr works around the world in hospitals, hotel lobby services, shopping centers, airports and museums. 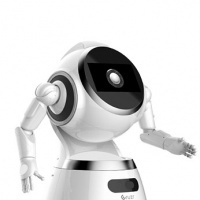 Now Cruzr will be welcoming all our guests in the Future Data Summit! World-class communicator with 15+ years of experience in international new business development, 25+ years in media, 30+ years in education and training and 35+ years in public performance professionally on stage. As the Managing Director of FiBAN, Wasenius aims to ensure that cooperation is strengthened within Finland and internationally: "Besides working towards common goals within Finland, it's important for us to develop our international collaboration. It’s rewarding to see how FiBAN is investing in cooperation in the Nordics and Europe." He is an experienced instructor of communications, media, digital media, and mobile communications. 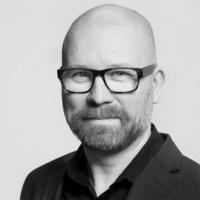 Reidar has worked in various parts of the world for companies such as Nokia, Samsung, Telecom Finland / Sonera, TEKES, Digital Equipment Corporation, as well as a number of domestic media houses. Reidar is also a skilled host and moderator especially for business events and seminars. His English, Finnish and Swedish are fluent and he has limited working proficiency in German, French, Italian and Spanish. Other languages he has elementary proficiency on are Dutch, Japanese, Russian and Latin. "Generalist with wide experience from tech to biz". Since 1998, Pekka has been developing new business, effective service concepts and integrated digital solutions in IT and telecom industries. 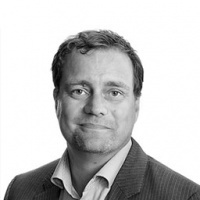 He has been both entrepreneur in data center start-up and as well developing services and business at telecom and IT giants like Telia headoffice and CGI IT infra unit. He has long career as independent consultant and has helped several companies in service development. 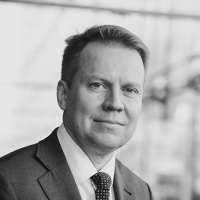 He is chairman of the board and founding member at Finnish data center forum, the association for fostering the datacenter and cloud cluster in Finland. At FDCF he is focusing on international relations and data center knowledge export and investment import. His daily business is being service producer at Justin group, a service design company targeting IT and telecom service providers, data center and cloud companies. He has both technical background from building technologies, IT systems and networks but as well financial studies in international business and marketing.